“The Earth does not belong to us; we belong to the earth “. It is time for all of us to come together on this day to pledge to make our planet a cleaner, safer & greener place. 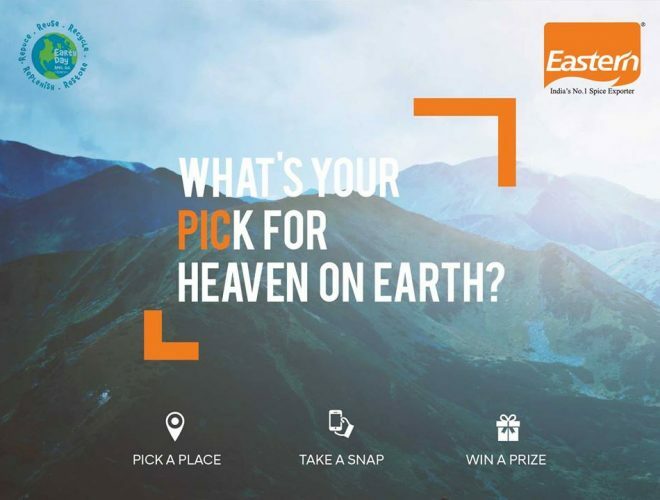 Share pictures of your favorite place on Earth & five lucky winners will get an amazing gift hamper from Eastern! 5 lucky winners will get an amazing gift hamper from Eastern!